In this guide, we cover the basics of the Virginia divorce process, and break these basics down in a 6 step example of Virginia’s uncontested divorce process. The Virginia divorce process can be confusing to navigate. Before diving into the details, you should first understand the basics of what you’re getting into. In this guide, we’ll provide a quick, general overview of how the divorce process works in Virginia, as well as show how each of the individual types of divorce differ from one another. A divorce from the bond of matrimony is the “normal” form of divorce. This type dissolves the marriage and completely releases both parties from their matrimonial duties. On the other hand, you can think of divorce from bed and board as a “partial” divorce. You’re still married on paper, but you can begin working on all of the divorce elements immediately, such as dividing property or working out custody times. Choosing which type of divorce you want is based on your own personal beliefs and situation, which may prohibit you from getting a full divorce. Essentially, however, both types of divorce lead to the same thing: the dissolving of the marriage. The main difference between the two is that divorce from bed and board is like a shortcut to a normal divorce. All of the paperwork and bargaining happens early, so when the actual divorce deadline happens each party can just file the paperwork and be done with the matter. If all things go according to plan, filing for a bed and board divorce first can help you get divorced between 6 and 12 months faster than normal. The process for each type of divorce is essentially the same, and it’s relatively easy to alter a divorce from bed and board into a “normal” divorce after one year of legal separation. Once you’ve decided whether you want a legal divorce or a divorce from bed and board, the next step is figuring out your grounds for separation. This process boils down to one central question: was anyone legally “at fault” for the divorce? As a holdover of older laws, every divorce in Virginia has to center on some core dispute. These disputes can be as simple as a disagreement over finances or as complicated as finding out that your spouse is cheating. When you file for divorce in Virginia, you must list this core dispute as the “grounds for separation,” or the reason that you’re getting a divorce in the first place. The Virginia Code specifically notes that you can file for divorce on either “fault-based” or “no-fault” grounds. 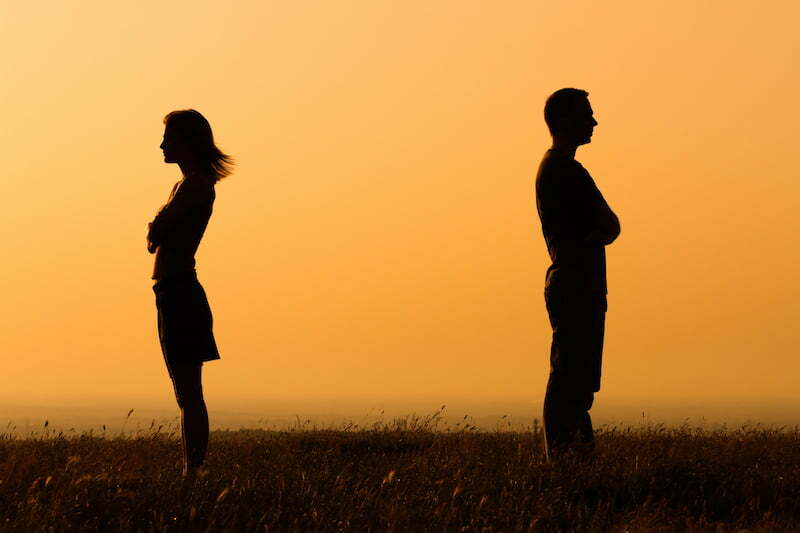 In a fault-based divorce, you are basing the divorce on one of the grounds for separation specifically outlined in the Virginia Code. For example, you could divorce your spouse for adultery or abuse. On the other hand, in a no-fault divorce neither party is legally at fault for the separation. These divorces aren’t based on a specific reason but, rather, come about after a period of separation. 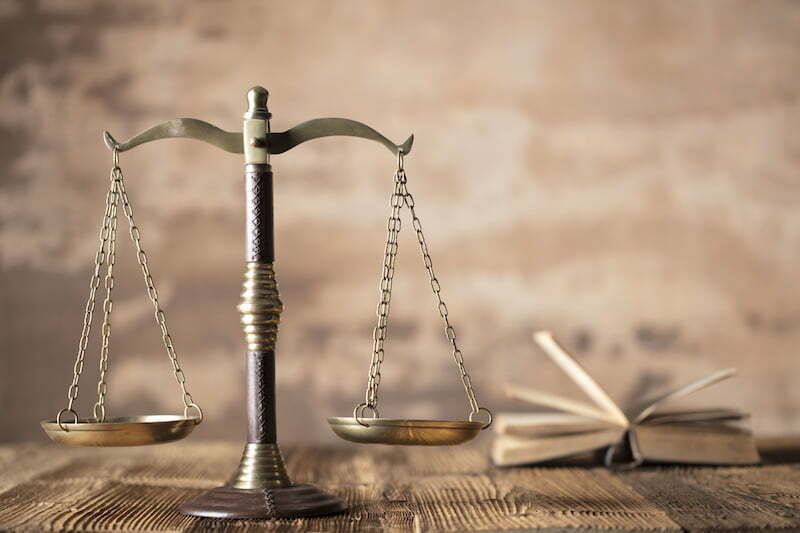 The distinction between the two is important, as the type of divorce you file for can significantly impact the speed of your divorce, your strategy in court, and how the judge decides to divide your assets or settle other related matters. As mentioned above, fault-based divorces occur when one spouse performs one or more of the “faults” listed in the Virginia Code. Specifically, Virginia residents can file for fault-based divorces in cases of adultery, felony conviction, abuse/cruelty, or abandonment. For cases of adultery, or if one of the spouses commits a felony, there is no waiting period for a fault-based divorce. You may file for divorce as soon as you feel ready. For cruelty or abandonment, there is usually a one-year waiting period before you can file for divorce. However, you may bypass this waiting period using the shortcut we mentioned earlier: the divorce from bed and board. In this case, you’ll be legally separated while you wait out this one-year timer. During this period, you can finalize all divorce proceedings and agreements, and simply sign the divorce papers on the final day to finish the matter. On the other hand, in a no-fault divorce neither party has to prove that the other spouse did something wrong. As stated, this type of divorce is based primarily on the spouses living apart for a set amount of time. The main benefit of a no-fault divorce is that all issues are taken care of before the divorce proceeding begins, such as property and custody. Generally, you will do this by drafting a “separation agreement” which will list the terms of your divorce. The Virginia Code specifically lays out the rules for this type of divorce in its section on divorces from bond of matrimony. Importantly, this section notes that if you have no children you must live separately from your spouse for six months before filing for a no-fault divorce. The law bumps up this time frame to one year if children are involved. After this waiting period ends, you may file for a no-fault divorce at your local courthouse. While it may sound obvious, no-fault divorces often go quicker than fault-based divorces since the couple has fewer things to argue over. This is because each side can quickly settle on a fair separation agreement which lists the terms of their divorce. However, complications still frequently arise, even in no-fault divorces. 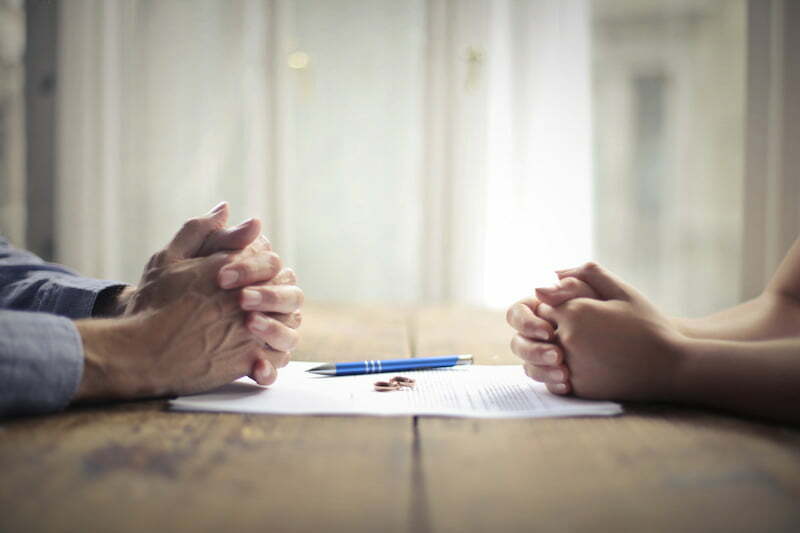 If either party disagrees with something in the separation agreement, the divorce becomes “contested.” This is often where having a good divorce lawyer becomes a necessity, and why contested divorces often become drawn-out and costly affairs. Conversely, an uncontested divorce occurs when the parties agree on all relevant issues pertaining to the divorce. This can include matters ranging from alimony and property division to child custody and support. Each of these types of divorce comes with different requirements, risks, and benefits which you’ll want to talk over with your lawyer. A contested fault-based divorce, for instance, would take the most time to settle, while an uncontested no-fault divorce could end in a separation agreement rather quickly. Likewise, an uncontested fault-based divorce (where one partner is wrong, but the other doesn’t want to fight about it) also has different rules than a contested, no-fault divorce (where the partners are already separated, but disagree on how to divide things). In order to give you one example of how a divorce might play out in court, we’ll outline a sample of the uncontested divorce process below. The steps for the other types are generally similar, but can vary slightly depending on the specifics of your relationship and case. The first step in the divorce process is actually rather simple. In order to file for an uncontested divorce in Virginia, you need to be a Virginia resident. For this reason, the court requires proof that the spouse filing for divorce has lived in Virginia for at least six months prior to the divorce. To complete this step, all you have to do is show proof of residency at your local courthouse. This can include rent records, legal documents such as a driver’s license, or any number of other similar documents. In order to file for an uncontested divorce, both spouses must agree on every aspect of the divorce. However, agreeing on every issue doesn’t automatically qualify you for an uncontested divorce in Virginia. As we noted above, uncontested divorces are often based on no-fault grounds of separation. For this reason, you should check that you actually qualify for a no-fault divorce before choosing to go the uncontested route. For example, if you have children you must live separate and apart from your spouse for more than one year in order to be eligible for a divorce. Alternatively, if you don’t have any common children you only need to separate for six months. Similarly, you need to have a separation agreement in place before filing for divorce. A separation agreement shows the court that you agree with your spouse on all issues pertaining to the divorce. As mentioned earlier, the lack of, or a disagreement about, a separation agreement can lead to a contested divorce. Once you’ve determined that you satisfy the requirements in Step 1 and Step 2, you should submit a “bill of complaint” to your local Circuit Court. Current residence information for both parties. The date and place of your original marriage. The names and dates of birth for all minor children (if applicable). A written statement that each party is 18 years or older, and of sound mind. Proof of any relevant military status (if applicable). A written statement that each party is not incarcerated. In addition to the bill of complaint, you must also fill out and submit Form VS-4 to the clerk of the court. This form requests similar information to what you put on your bill of complaint and is used to officially report your divorce to the Department of Vital Records in Richmond. You can submit the VS-4 at any point before your formal hearing. Once you’ve filed both forms, the Circuit Court clerk will assign you a case number. This number identifies your case to the court and has to appear on all subsequent divorce documents. Next, you must provide notice of the divorce to your spouse. This is done with a “service of process.” Service of process is a legal term that means you gave official notice of legal proceedings to the other person. Whenever you hear about someone “serving” another person legal documents, this is what they mean. In Virginia, you need to provide this notice in a very specific order and manner. You can’t simply mail your spouse a letter, or leave a sticky note on their fridge. 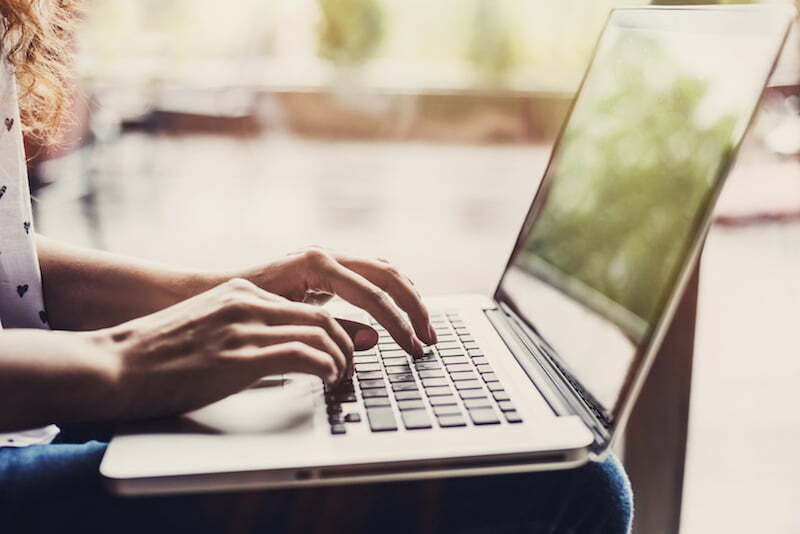 Generally speaking, a proper notice will include a copy of the complaint, an official court summons, and any other relevant documents you’ve filed with the court. You can serve your spouse these documents in any number of ways. The most common way of “serving” someone is to simply ask the sheriff’s office, or an impartial third party, to hand over the papers for you. Do note, however, that they might charge you a fee for doing so. After receiving these documents, your spouse has 21 days to file an answer with the Circuit Court. If they fail to do so, they waive their service of process. This means that, by failing to respond to or sign the service of process, they automatically consent to the divorce. In cases where this happens, the court will often simply grant the divorce by default. Lastly, make sure to keep a record of how you’ve served your spouse, as you’ll need to prove to the court that they were properly served. Once you’ve served your spouse, the next step is to determine how you want your divorce heard. There are two general options at this step. First, you can ask for an oral hearing with a judge or commissioner. Second, you can keep the divorce out of the courthouse by using deposition or affidavit. We’ll cover each option below. Do note, however, that this step is where giving notice to the other party is important. The non-petitioning spouse has a right to be present when these statements are taken. This means they must have notice of what you’re doing, so that they can either (1) attend the hearing or deposition, or (2) waive their right to be present. As stated, after your spouse files their answer you can decide on whether or not you want an oral hearing. If you choose this route, you can then decide whether this hearing will happen in front of a judge or a commissioner. The benefit of having a commissioner hear your divorce first is that a judge can hear any post-trial motions you may submit. Essentially, it allows for a second pair of eyes to look over your divorce after the fact. If you decide that you would like a judge to hear your case, you must file what is known as a Hearing Request Form. A sample copy of a Hearing Request Form for the Circuit Court of the City of Virginia Beach can be found here. At least two copies of a Final Decree of Divorce. The Original Separation Agreement (as required under no-fault grounds). Proof of Service of the Bill of Complaint, or proof of waiver of service. The original completed VS-4 Form. A self addressed, stamped envelope (if proceeding without an attorney). An order for restoration of your former name (if you wish to change back to your last name before marriage). Anything else that may pertain to the jurisdiction that you are in, such as if you are basing evidence on witness testimony (like a friend who witnessed the reasons why you are getting a divorce). Once you submit these forms to the court, they will mail you a scheduling notice that tells you if they’ve approved your hearing request. If you fail to file the correct forms, or submit an incomplete form, they will instead send you a rejection notice, as well as details for how you can correct the issue. Once you’ve received your scheduling notice for your scheduled hearing, the next step is to appear at the hearing. While at the hearing, you have to provide evidence for all of the allegations you made in your bill of complaint. This is also when you’ll bring any witnesses you deem relevant. If you instead wish to avoid a formal hearing before a judge or commissioner, you also have the option of using a deposition or affidavit. This is very helpful when one of the parties in the divorce proceeding cannot make it to a hearing, or if you would like a quicker divorce. If all issues in your divorce are already fully settled, or one spouse doesn’t want to participate in the divorce process, an uncontested, no-fault divorce can take place through a deposition or affidavits. Essentially, this means that instead of actually showing up in court, you only need to submit some documents or recordings to the Clerk of the Court. Depositions, for example, can take place at your attorney’s office. A deposition is sworn testimony taken outside of court. Essentially, instead of submitting a solely written reason for the divorce (the affidavit), you’re recording the matter while under oath. Once you finish these depositions, you can file them with the Clerk’s Office of your local Circuit Court. The process of divorce by affidavit is similar to a divorce by deposition. An affidavit is a sworn written statement that is used as evidence by a court. So, instead of having a deposition taken inside of an attorney’s office, you can simply write out your own sworn statement and submit it to the court. In order for this affidavit to count, you have to legally affirm the information and have it notarized. Once you’ve completed the above steps, all you need to do is wait for the court to enter a ruling. The judge may rule orally at the end of your hearing, or the judge may take the matter under further advisement. Generally, a judge will issue a verdict on your divorce during the hearing. The judge will issue what is called a Final Decree of Divorce, which formally dissolves your marriage. Once the judge has signed the Final Decree of Divorce, the court will mail you a certified copy of the Final Decree of Divorce from the court. The Virginia divorce process can be extremely complex. For this reasons it’s recommended to get an experienced family lawyer. Otherwise, you may make mistakes that could cost you a large amount of time and money. For that reason, it may be helpful to consult an experienced family law attorney to help you through the Virginia divorce process.